Aren’t these just dreamy? 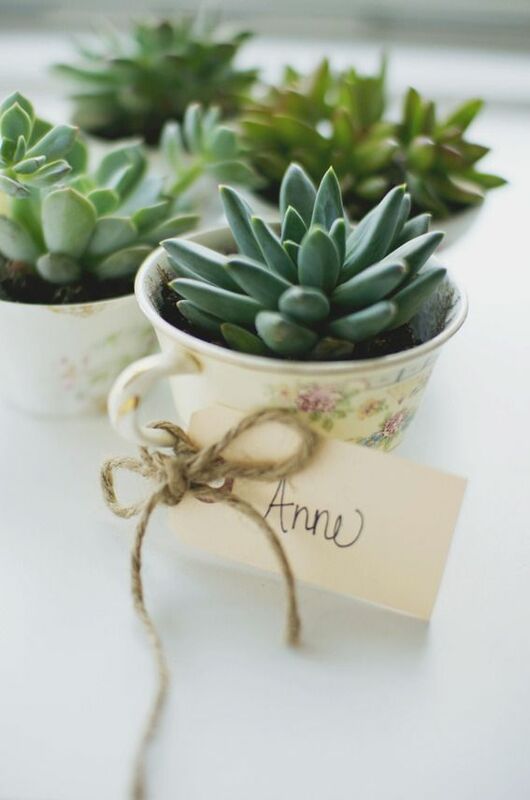 Nothing says magic like a little teacup full of plants. 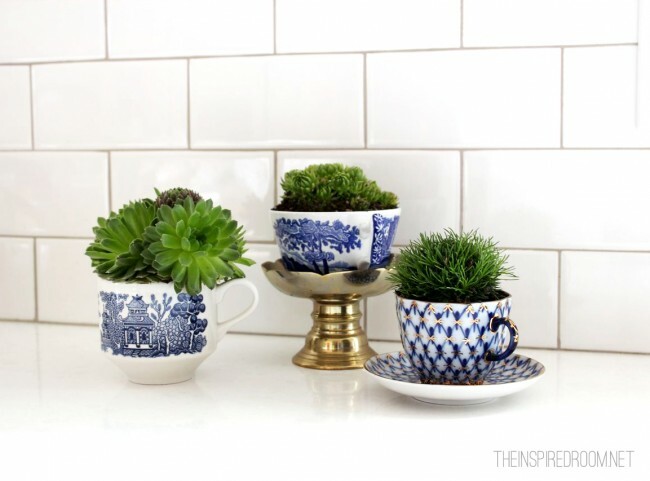 These indoor container gardens are such a cute way to dress up an old teacup. 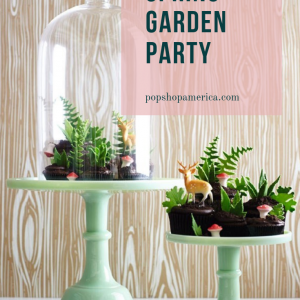 They make great gifts and totally adorable party decor. 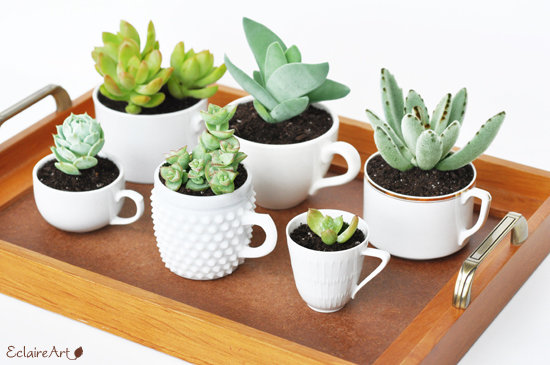 Most of these are easy to make and easy to care for – especially if you use the easiest plants to care for – succulents. All you need are vintage teacups which you could score at your local thrift store. 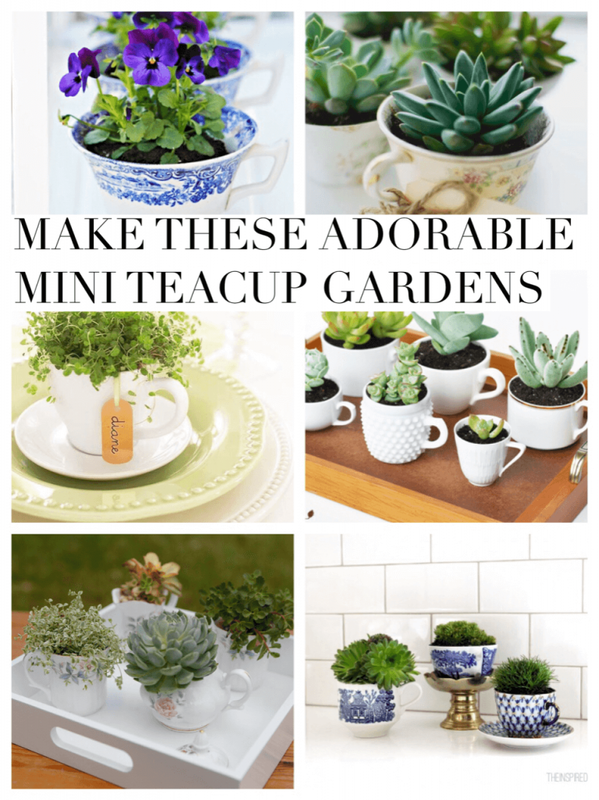 Let’s take a look at these dreamy Mini Teacup Gardens. 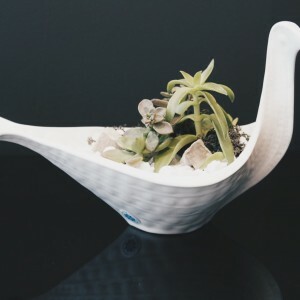 This Tea Cup Garden is created by CraftsMumShip. I love how she set it on a tray to make the display complete. Using a variety of size plants like larger succulents and ivy with tiny leaves gives this display variety and intrigue. So darling! The Tea Cup Garden by The Inspired Room feels upscale because of the gorgeous moss that she used and the lovely color palette of the teacups. Using a stand to give it some height will help you create an inspired scene. 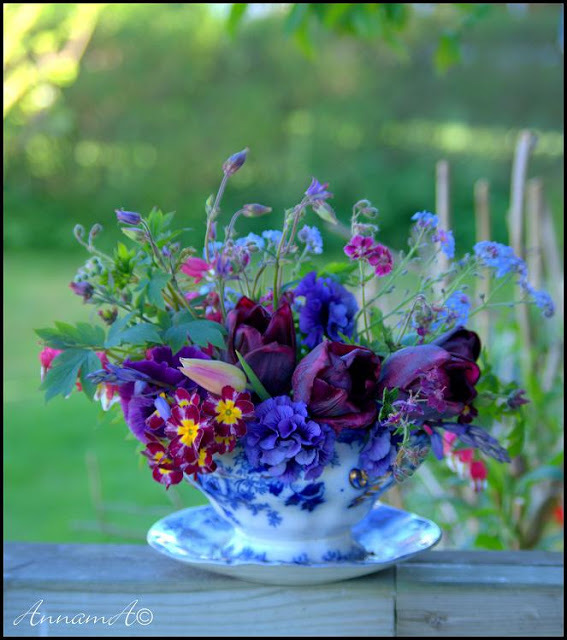 Annama – Garden Life Blog,in her blog Fresh Bloom Displays used her teacup as a way to display fresh cut flowers from her garden. 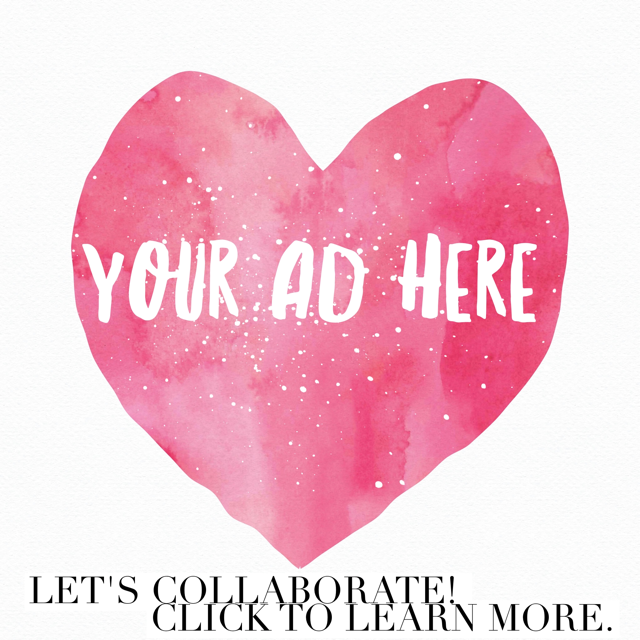 It’s such a simple and easy way to add bouquets of color anywhere you like. 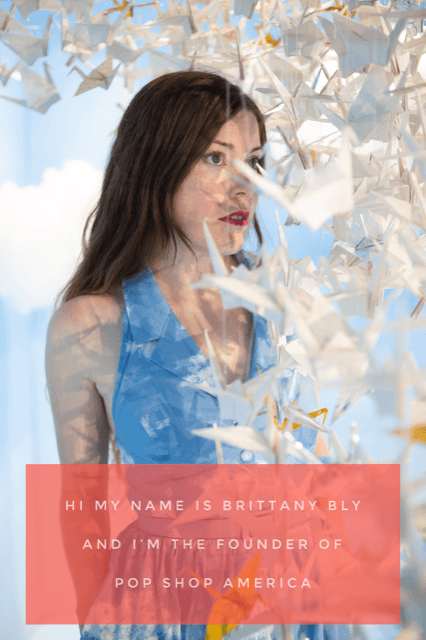 Bowerbird Stories, Tea Anyone? Teacups for days, and days, and days! I love how many teacups are gathered together. Who knew stacking them on a shelf would be so pretty! This would be a great technique for broken or chipped teacups. 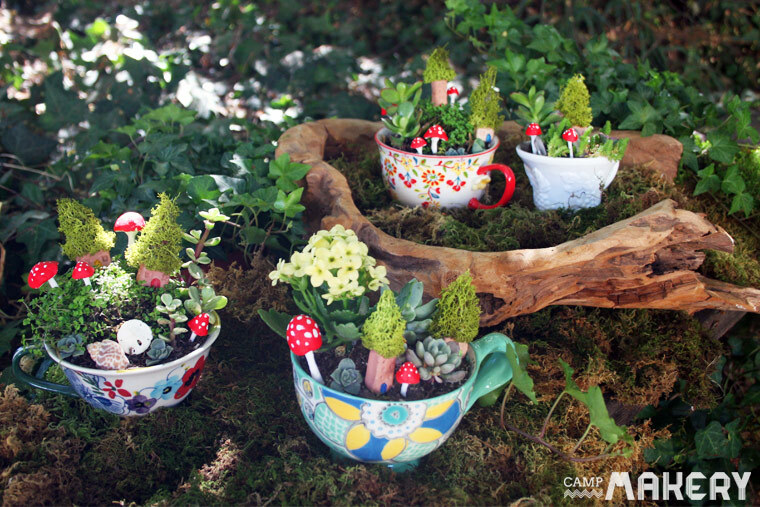 Take a look at Camp Makery, Create a Miniature Teacup Garden Now we’re getting magical! This fairy garden uses oversized teacups with moss, mini mushrooms, and crystals to make a fairy garden that still feels mature and adult. 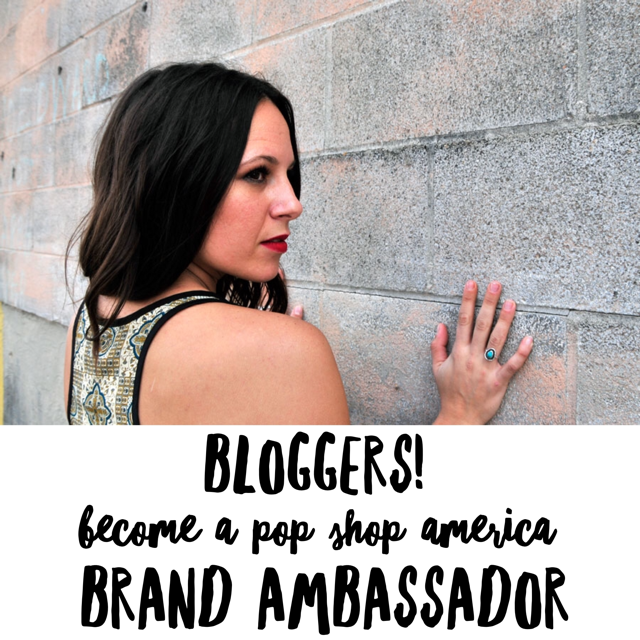 I’m just swooning over these! These all white teacups are so fresh and clean! I love them in groups of 3 and groups of 6. It’s a number that just feels right. Swoon! 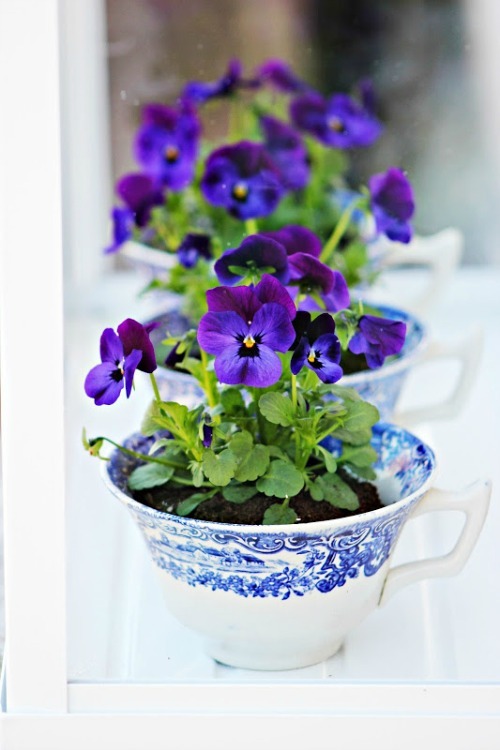 These teacups with purple pansies might be my favorite. 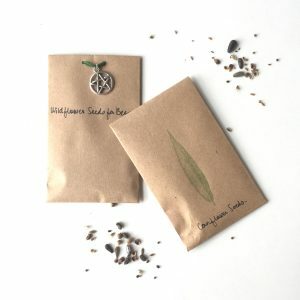 What a great gift for spring or the perfect wedding favor! These are a must make. 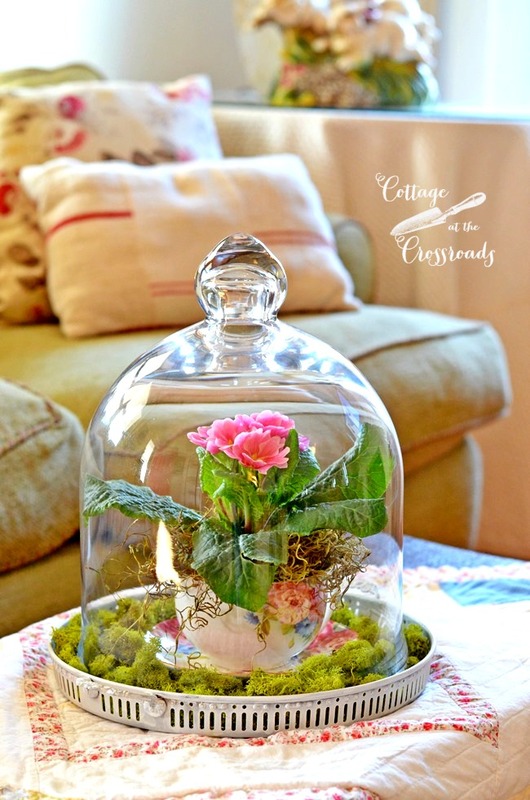 Blog Cottage at the Crossroads, created this display Spring Under Glass that adds a pop of color to a room. Placing the teacup under a cake stand elevates this look into something joyful and clever. 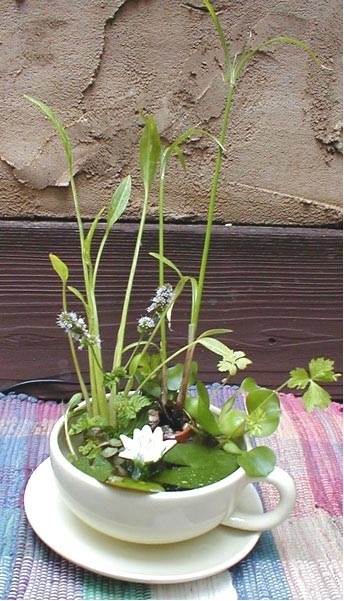 This Mini Teacup Garden is full of water plants! It’s such a cool idea to have a mini pond garden. 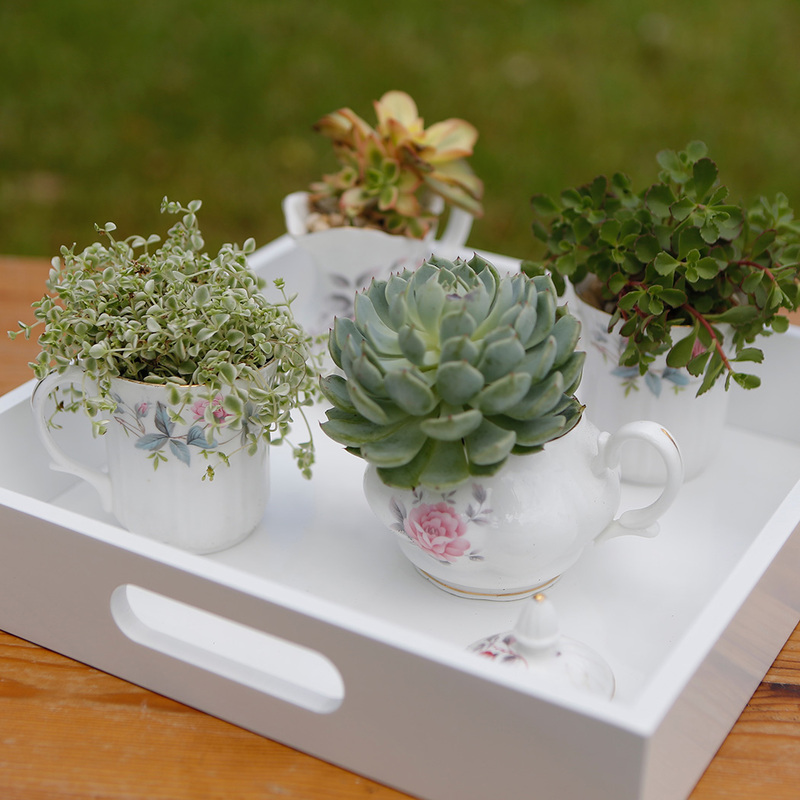 This Mini Teacup Garden is from Better Homes and Gardens – Party Favors for Adults and is meant to be given as a gift! 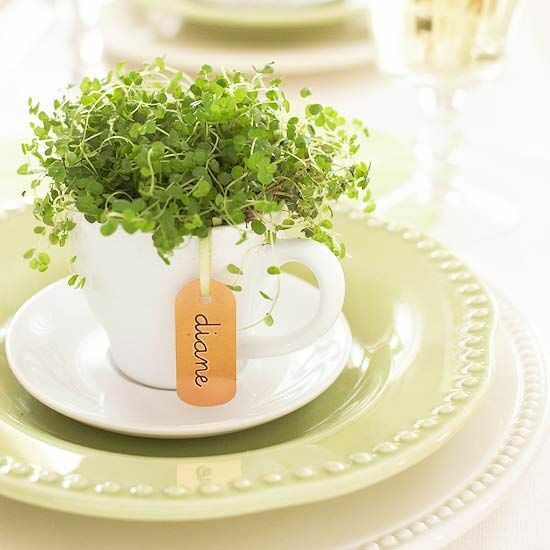 The tiny herbs make the teacup feel full and oversized. This would be perfect for a garden party. 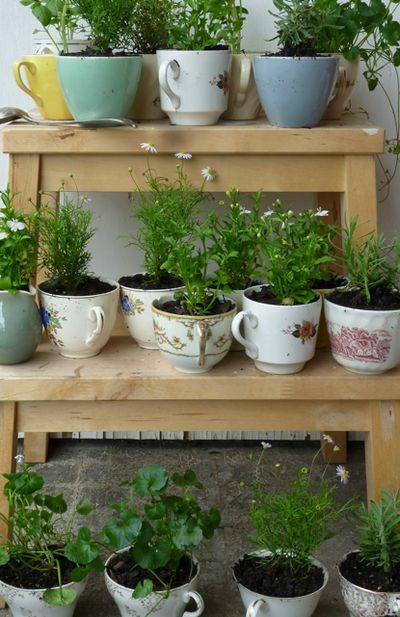 Now aren’t you just dying to make your own Teacup Planters? I know I am! Just a practical note – if you decide to make one, be sure to drill a hole or add a thin layer of rocks to the bottom. So that when you water your plant, it has a way for the water to drain away from the roots. The care for some of these plants can differ. For example pansies need full sun, but succulents can do with partial or even low light. So pay attention to your plant care! And happy making!